Russian national Anastasia Loginova, 29, works for a children’s charity. 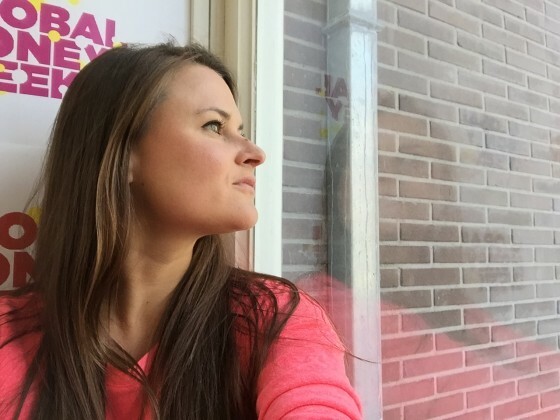 She’s been in the Netherlands for eight months and loves long cycle rides and thinks Amsterdam is a place of many layers, all waiting to be uncovered. It was actually very un-Dutch and unplanned. While job hunting last summer, I reconnected with a high school friend who had just spent four years in Amsterdam and was preaching about the magic of the city. Moving to the Netherlands had not crossed my mind up to that point, but her stories intrigued me. Simultaneously, a position came up in her ex-company, a non-profit organisation called Child and Youth Finance International which facilitates financial education for children and youth around the world. Although it was not exactly my field (I have a background in art), I had the required skills and the cause greatly appealed to me. Honestly, the term expat makes me cringe a little. I have never actually lived in my country of origin. I was born in Cuba, raised in Cyprus, and having lived in the UK, USA and Germany before here, I would describe myself as a citizen of the Earth. No plans yet. For now I feel good, so I will stay. Having moved around so much, I also would quite like to stay and get to know a place in more depth. Amsterdam seems like a place with many layers to be uncovered – I am curious to get underneath some of those. Not yet, I think I’m allowed a gap year before embarking on the Dutch lesson road. I do speak German and some claim that it is easy-peasy to learn if you know German. Others have told me Dutch is in fact the hardest language there is (this came from a language teacher) due to all the exceptions which exist in the grammar. I guess opinion is varied and I will just have to find out for myself… One day! Herring and pancakes! Not at the same time. I love the Dutch way of making pancakes; saturated in butter, embedded with soggy apples, raisins and covered in cinnamon – perfect any time. I also really enjoy going to the Noordmarkt on Saturdays where you can buy fresh fruit and veg, fish and all sorts of local produce. The mushrooms stand there is just a beauty to see and it’s great to chat with the local farmers from the countryside who ooze the kind of warmth, calm and humanity you rarely find in cities. The sun, the sea, sharing, the inclusive Mediterranean attitude (sometimes! ), laughing with friends and family and Cypriot bakeries. I’ve opened a savings account here, so I guess I am beginning to become quite Dutch. Wow, there are so many! Firstly, get the season right and come in spring or summer. It’s incredible how the city changes and comes alive once the coat of hibernation comes off after a long, dark and heavy winter. I love taking a walk in the Jordaan along the canals; the cobbled streets and crooked little houses, each appearing to have a personality of its own, peeking into strange little shop windows and quirky businesses. All the layers of history and extremely well-kept charm are like nowhere else. With the onset of spring I have also been venturing out on the bike beyond Amsterdam. Biking from city to city feels great, since the distance is doable and you feel the accomplishment. Last weekend, we cycled from Amsterdam to Hillegom, which is just before the crowded Keukenhof, to see the tulip fields and then followed the sand dunes up to Zandvoort, the coastal town. This is a route which I loved and would definitely recommend. The combination of sports and leisure as well as incredible sights makes for a wonderful day trip. Something which really surprises me here is that no one seems have to curtains in their windows, instead displaying the contents of their house and private life for all to see. I find this quite bizarre, considering that the Dutch culture appears to be quite reserved and private, but I must admit, I rather enjoy the voyeurism into other people’s lives. Another thing is the way Dutch people socialise. For example, if you are out with a Dutch person and they have an appointment with another friend, who you might also know, they will never encourage you all to meet and hang out, rather keeping to the allotted time slots and everyone separate. Coming from a Mediterranean culture where everyone always brings everyone together, this segmentation seems rather peculiar. Take a walk along the streets of the Jordaan at sunrise and breathe it all in. Walk, walk, walk, discover a cozy café to rest in, peek in some book stores, end up in the Westerpark for sunset. Anastasia Loginova works for the Amsterdam-based NGO Child and Youth Finance International, which organises the annual Global Money Week event.